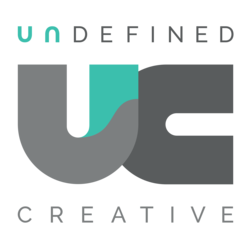 Undefined Creative is a boutique production agency. We offer a full array of production services, including scriptwriting, concept development, motion graphics / animation, editing, shooting and sound design. Located in the heart of Brooklyn, New York, we produce content for television, digital marketing, social media and live events. We're the perfect studio for big brands, agencies or networks seeking creative vendors who are flexible, reliable and easy to work with. We're looking to partner with independent sales professionals who can either introduce us to their existing contacts or work with reps who are interested in developing a territory. Ideally, we're looking for someone who understands the creative media production/advertising/TV production landscapes. However, we are happy to train you in the specifics of the production industry! We need a SALES SUPERSTAR. You'll need to find leads who are looking to promote a new or existing business, service or product. Our hope is that once a need is identified, the sale of visual content will be made easier by society's current infatuation with fast-paced visual content found online and throughout social media.